Gas and electrical appliances are covered by the Sale of Goods Act (your statutory rights). You have a right to expect that what you buy is as described, that it works and of satisfactory quality. Often, gas and electrical items can work well for a while but then become unreliable or even break. So at what point does it stop being the seller’s problem, and become just an object that hasn’t stood the test of time? There are time limits, but the main issue is whether or not you can prove the fault was present at the time you bought the item. If you bought the item less than six months ago, you don’t need to provide the seller with any evidence that this was the case. If this is disputed, it’s up to the seller to prove that the goods weren’t faulty at the time of purchase. If the item is more than six months old the burden of proving the fault at the time of purchase is on the consumer. Remember, you can’t simply ask for a refund because you changed your mind. In the event that a fault is accepted as having been inherent at purchase, the seller is entitled to offer to have the item repaired, or alternatively you can ask for a refund. A repair must be carried out within a reasonable period of time and done to a satisfactory standard. If this is not possible – or if a repair is prohibitive in terms of cost – the seller can offer you a replacement or you can ask for a refund. The time limit within which you must approach the seller with the defect is six years. Bear in mind, however, that an item doesn’t necessarily have to last that long to have survived ‘reasonably’; if you bought an economy kettle from a supermarket that cost £5, you might be pleased if it was still working after five years. Value is, in terms of the longevity of a particular item, relative to cost. This is closely linked to the requirement to request a refund within a ‘reasonable’ time, and whether or not you could be deemed to have ‘accepted’ the goods. It is common for extended warranties to be offered with gas or electrical items, but before deciding to purchase these you should read the small print and decide whether in all the circumstances, this might be something from which you might benefit. See the section on extended warranties on this site for more information. 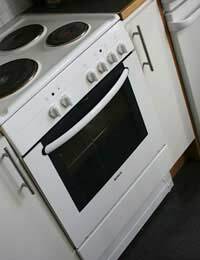 If an item is to be installed into your home, for example a washing machine, or a gas oven, the fitter must use reasonable skill to do this. Gas fitters must be CORGI registered. If you are unhappy with the way that an item has been fitted – let’s say your new dishwasher leaks – you should take issue with the company that undertook the fitting or the company that sold you the item, if the installation was part of the cost of supplying the item. Make sure that you read the instructions for your appliance before you complain. Once you are sure that there is a problem, take the matter up with the seller – not the manufacturer – and explain that you either want a repair, a replacement or a refund. Consumers who are calm, persistent and know their rights generally get the best results. Faulty Goods Replaced: Do I Get a New Warranty?